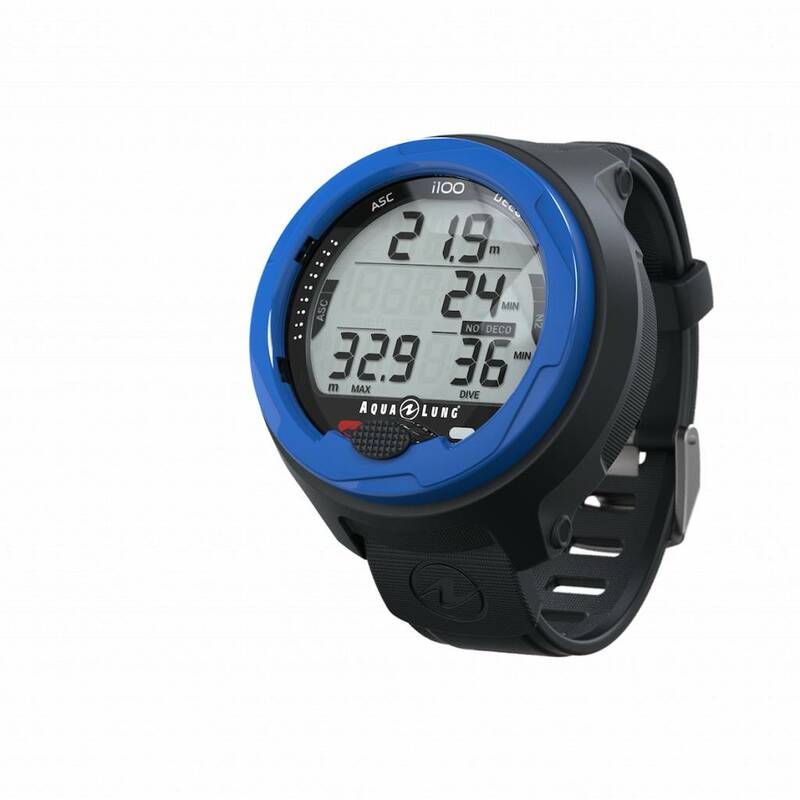 The Aqua Lung i100 is the perfect computer for the new diver. The Aqua Lung i100 is the perfect computer for the new diver. Its simple one-button navigation allows to select from four operating modes and manage two gases. The computer also retains all settings and calculations between battery changes. Also included are safety features such as audible alarms and a high-visibility LED warning light. The i100 provides all of the essential functionality required in a compact design at a great price. Simple to use with DiverLog* software - allowing you to control all dive computer settings, view your log and profile, add location and other notes, and store photos and videos.